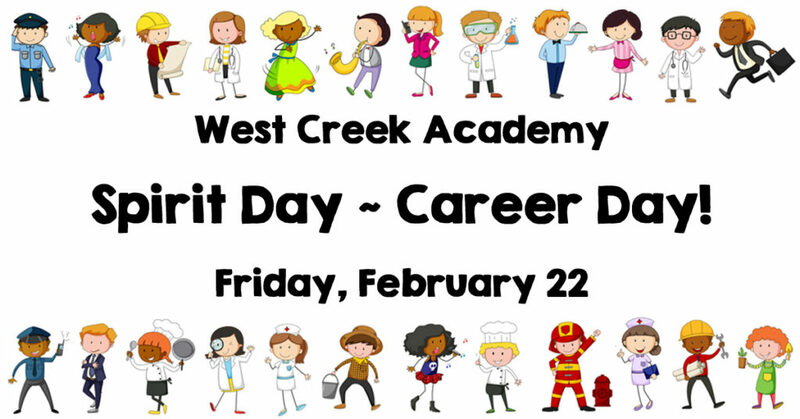 February's Special Spirit Day is CAREER DAY! Dress up as a career professional and/or in school colors! Every Friday is Spirit Day at West Creek Academy, where we invite you to pull on your West Creek Spirit Wear or wear our main school color of burgundy to show off your Wolf Pride! The third Friday of each month will have a special theme to go with our regular Spirit Day.